Safe, Sturdy, Light and Durable. 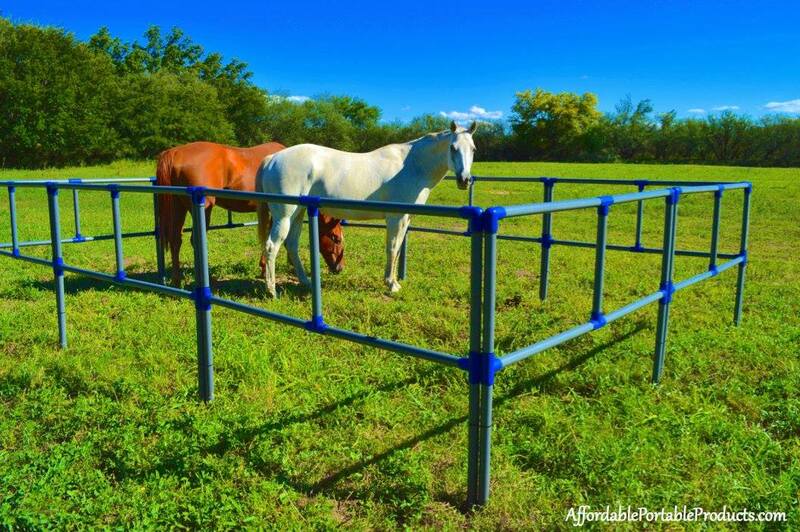 Affordable Portable corral panels are perfect for any overnight stay with your horses! 12′ x 12′ stall. Very spacious! You can also just connect them to your trailer. When you order you can choose your favorite color (red, blue, purple, green etc.) (red and blue shown in pictures).